The process for seat allotment of National Council for Hotel Management Joint Entrance Exam will commence from the second week of June 2018 by NHMCT (National Council for Hotel Management and Catering Technology). The allotment of the seat of NCHM JEE 2018 will be done on the choice of institute selected by the candidate and on All India Rank (merit) scored by the candidate. Soon after the declaration of result, the seat allotment of NCHM JEE 2018 will be done in three rounds together with counseling schedule. 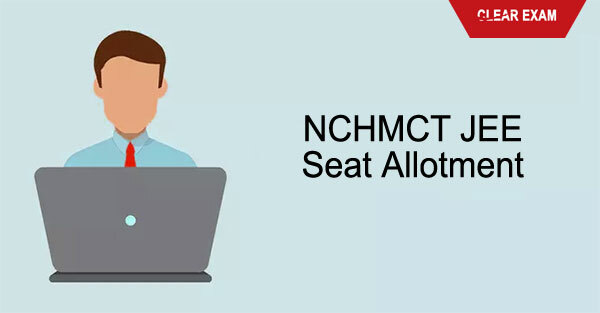 There will be three rounds for the allotment of the seat of NCHM Joint Entrance Exam 2018 based on locked choices of candidates and merit list by NCHMCT. Seat allocation process will start after the declaration of Result. The seat allocation schedule and detailed procedure along with NCHM JEE 2018 Result announcement is available in online mode. The result of NCHM JEE Seat Allotment will be declared officially, after each round of counseling. Everything can be checked on the page of NCHMCT. Candidates are required to be present at the participating institute in which seat is allotted to the candidate and do the payment for accommodation in hostel etc. till intended time given by authority. The seat is not allocated to the candidates in the duration of counseling of first, second and spot round. Candidates, to whom seats are allotted in the first and second rounds of Counselling of NCHM JEE 2018 but withdraw as per intended schedule. Candidates, to whom seats are allotted in the duration of first, second and spot round but because of non-reporting at the institute was not able to withdraw. Even after the allotment of the seat and reporting through first, second and spot round, candidates who did not attend any lecture and cancelled their seats online. Candidates who reported to the institute and attended all the lectures after seat allocation during first, second and spot rounds of counselling. Note: The admission stands canceled if any candidate is found not eligible later even after his/her admission to any institute.